CBC is proud to introduce the Dunne Family Innovation Commons! Opened this year, the Innovation Commons offers more than 8,000 square-feet of space to inspire 21st century learning and experimentation. 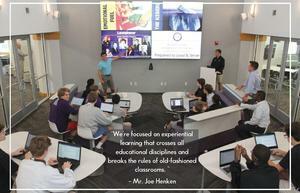 This best-in-class facility is home to the CBC STEM Academy as well as our Center for Leadership and Entrepreneurship. Industry leaders have identified these three skill sets as areas of significant need in the work force, and CBC is the first school in the St. Louis area to formally connect these rapidly growing career paths. 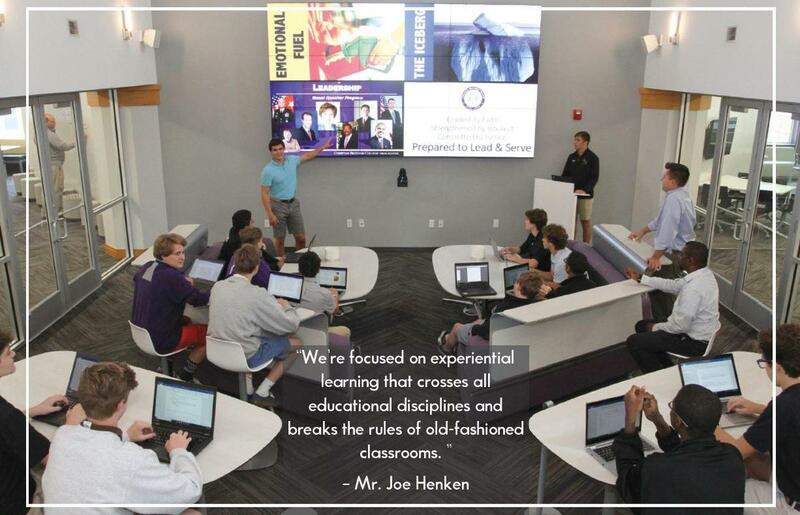 Joe Henken leads the CBC STEM Academy and helped design the new space. "We're focused on experiential learning that crosses all educational disciplines and breaks the rules of old-fashioned classrooms," Henken said. 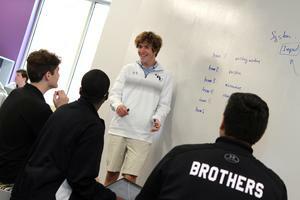 Students just began using the collaborative new space and have given it rave reviews. "The Innovation Commons creates a totally different learning experience," said sophomore Alex Ramirez. "I'm not just sitting at a desk, it feels more like I'm collaborating at a big company." The Cadet Student Network has created a video introducing current 8th graders and future Cadets to this exciting new area of the school. Please click the link below to watch that video and visit the Innovation Commons web page for more pictures and updates.